Home / baseball / Buffalo / Buffalo Bisons / CM / Fireworks / Key Bank / MiLB / Sports / Bisons re-design 'Fireworks Experience' for KeyBank Independence Eve! 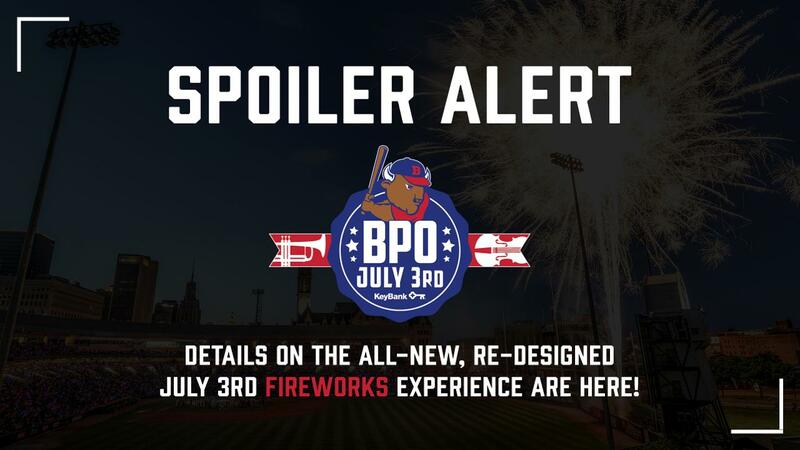 Bisons re-design 'Fireworks Experience' for KeyBank Independence Eve! The KeyBank Independence Eve Celebration is just around the corner, and as tradition, the Bisons are planning their largest Fireworks Show of the Season. But as this great event moves into its 24th season and nears the half-million mark in attendance since its debut, when it comes to the postgame show…you ain't seen nothing yet! 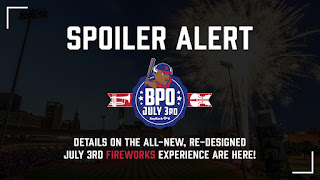 The Bisons today announced that they have planned an all-new Fireworks Experience unlike any other in the event's history for this year's show on Tuesday, July 3 after the Herd's game against the Scranton/Wilkes-Barre RailRiders (6:05 p.m.). Working alongside their great partner, Zambelli Fireworks Internationale, this year' show has been redesigned and enhanced in a big way from the previous years. Already the largest show the Bisons put on annually, the team has added new on-field pyrotechnics that will bring the glitz and glitter even closer to the fans in attendance. There will also be special effects throughout the Buffalo Philharmonic's performance of the fan-favorite Armed Forces Salute! New effects will also be a part of the BPO's annual tradition to celebrate great pop culture anniversaries and milestones. As the orchestra performs Somewhere Over the Rainbow in honor of the 80th year of 'The Wizard of Oz,' a 'Rainbow Wall' will erupt on the outfield wall. When the BPO performs great hits in honor of the band ABBA, special 'Sizzling Effects' will have fans yelling, Mamma Mia! There will even be special pyro right on the ballpark's infield that will kick off the amazing show that is about to begin! While there are no more BPO 4-Packs available for this year's event, there are still great seats to be had for this amazing show. CLICK HERE to get your Indepdendence Eve Tickets and we'll see you at the ballpark!